If you like Adventure Time and need a blanket then you want to check out this Finn And Jake fleece blanket. The fleece blanket is 46 x 60 inches and is made from soft fleece and that makes this Adventure Time throw blanket just perfect for all your blanket needs. On the bed, couch, car, or even a picnic this Adventure Time blanket is perfect for it. 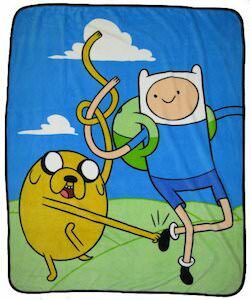 On the throw blanket you can see a blue sky background with Jake the dog and Finn having fun. So now you can watch Adventure Time on TV while being warm and comfy under this blanket. If you want something fun to wear to your Yoga class then check out this Adventure Time Finn workout set. The set includes yoga pants and a sports bra and both are covered in a Finn from Adventure Time. You can see Finn so many times on this workout wear that it almost looks like he is fighting with himself for some exposure. The leggings and bra are made from 90% polyester and 10% spandex so that it has a nice stretch and feels great when you wear it. And besides, for a workout, you can, of course, wear this set every day where ever you go. 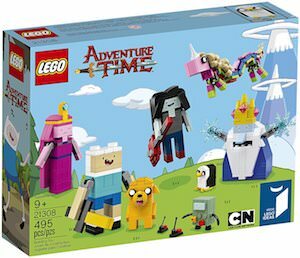 LEGO and Adventure Time are both great fun and now both came together into this Adventure Time LEGO set. The LEGO set has number 21308 and has 495 pieces and is rated ages 9 and up. This Adventure Time LEGO set does not let you build structures but it does let you build characters from the Adventure Time TV series. 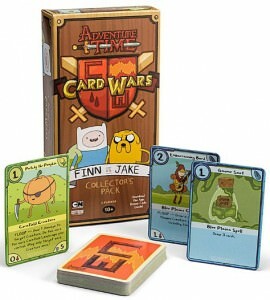 You can build Finn, Jake, Princess bubblegum, lady rainicorn, Marceline, BMO, ice King, and Gunter. The LEGO Adventure Time characters are up to 6 cm in height and they do look just like they do in the animated series. If you would love to build Finn and Jake and the others then this LEGO set will make that happen. If you like Adventure Time and need a new Christmas stocking then why not get this Adventure Time Christmas stocking that just looks perfect for the holidays. The Christmas stocking shows Jake, Finn, Princess Bubblegum, BMO, and Lumpy Space Princess all dressed up warm and drinking some hot chocolate. 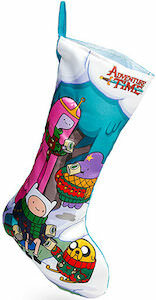 So if your home needs a fun stocking then adding this Adventure Time stocking could be just what you need. 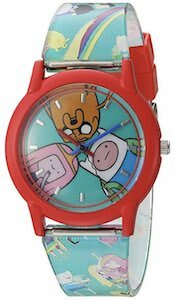 Sure it is not red and green but it is fun and festive and has your favorite cartoon characters on it. If like Adventure Time and need some fun jewelry then you have to check out this Adventure Time shaker necklace because it is fun and stylish. 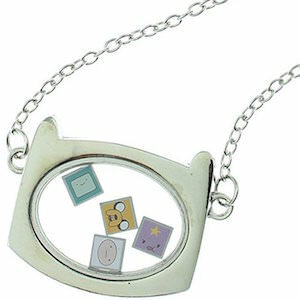 The necklace has a big charm that is shaped like the hood of Finn and in the middle, there is a see-through part in which you can find 4 cubes that shows 4 characters and as you can see there is Jake, Finn, BMO, and the Lumpy Space Princess. And just shake the necklace and the cubes will move and that makes it a fun shaker necklace. The Adventure Time necklace is 18 inches and has a 3-inch extender to so that it look stunning around your neck. 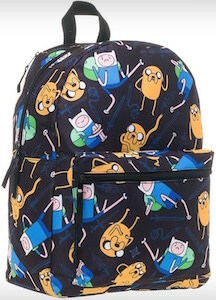 If you need a backpack and like Adventure Time then this is the bag to get. The black backpack is covered in images of Jake and Finn in all kind of different stands and with different expressions to. And if you want to be a little bit more like Finn then this is definitely the backpack for you as it has a build in hood that looks just like the hood that Finn wears. The Adventure Time backpack is 15.5 x 11.5. 5.5 inch and has one main compartment with a smaller compartment in front of it. And to make this backpack comfortable to wear they gave it padded straps that are adjustable in size. If you are an Adventure Time fan in need of a backpack then this backpack is perfect for you. This backpack has two looks. 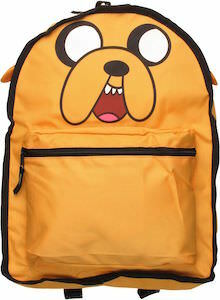 One side shows an orange backpack with the face of Jake on it but when you fold it inside out a green backpack appears just like the one Finn has. So now you can have one backpack that can have two looks. The Adventure Time backpack is 16 x 12 x 4.5 inch making it great for so many tasks like carrying your school books or taking you lunch to work. Orange and green are the colors to choose from everyday. A fleece blanket is something we all can use specially when it looks fun. 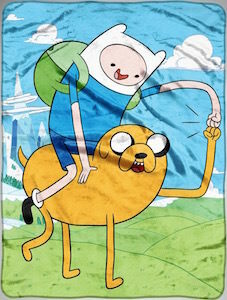 If you like Adventure Time then this blanket is something you should have a look at. The fleece blanket shows Jake the dog with Finn the human and they are doing a fist pump and that all with a nice scenery in the background. Now watching TV on a cool night will be extra fun when you snuggle in this Adventure Time blanket. A blanket like this is just fun to own and so versatile as it’g great for the bed, couch and even when you go camping. The Adventure Time nesting dolls are so very colorful and start with BMO (who does not open) who fits inside The Ice King. The Ice King will then fit inside Princess Bubblegum, who goes in Jake the dog, and all fit inside the big Finn. The 5 wooden nesting dolls range in size from 2 inches to 6 inches. They are hollow, split open and one can be hidden with in another. Keep them all tucked up inside one or have them all out for display. And for the serious collector you could keep them in their officially licensed packaging and have them on display. 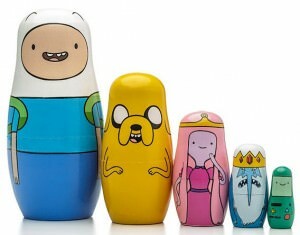 Start stacking today with your Wooden Adventure Time 5 Piece Nesting Dolls.